*Buyers can see limited information on the internet and various websites. With the housing websites that consumers use, it isn't always clear if a property has accepted an offer or not. A seller could have accepted an offer, that has a contingency, and that home could still be listed as "active" and available on a housing website. As a buyer looking at the site, you may not realize that it is already in a contract. Your own Realtor (Buyer's agent) can set you up with a home search that comes directly from the MLS. They can exclude properties from the search that have accepted offers, even with a contingency. Then you aren't wasting your time trying on homes that may not be available. Buyers that have their own Realtor set-up a direct MLS search for them, will have the access to the newest listings, faster than a search from any other site. This is because all real estate brokerage websites and consumer sites, such as Zillow, pull their data from the MLS. They have restrictions on when they can access that data. So, there is delay for new listings to be disbursed and visible on other websites. *Buyers with their own Realtors can get in to see properties right away. Their Realtor will know that in this market, a property can easily sell within a few days and will try to get their client in as soon as possible. Often buyers don't have their own Realtor in the beginning of their home search. They start out calling listing agents from for sale signs or from listings on websites. These buyers often experience not being called back or finding out that the property is already sold. For many listing agents, calls about their listings may not be a priority, as that listing may have already accepted an offer, have multiple offers in, or just may be having alot of showings. Without your own Realtor as a buyer, you can end-up missing out on a house, just because it's sold before you realize it's on the market or have a chance to even see it. 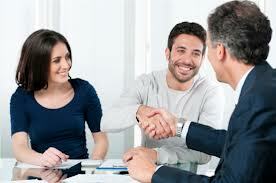 *A buyer's Agent/Realtor is educating the buyer on everything, including making sure they understand the home buying process, understand their financing (including down payment and seller paid closing costs), and all of the issues that come up during home buying. More importantly, a Buyer's Agent/Realtor is representing the buyer. This means that the Realtor is looking out for and fighting for the buyer's interests. The State of Minnesota wants buyers to know that they have the right to be represented. This is why customers and clients have to sign the Agency Disclosure. Nearly all sellers have a professional Realtor representing them, shouldn't you as a buyer? *Listing commission contracts often do not include a reduction of the commission that a seller pays out, in the event that the buyer is not represented. More commonly, the listing agent may end up representing the buyer and receive the whole commission amount, without the seller saving any money. *When buyer's are not represented, they run the risk of over-paying for a property, not negotiating based on inspections, or not getting as much seller paid closing costs, as they want. All of this equates into lost money for the buyer, which they could have saved by having their own Agent/Realtor. *In this strong seller's market, new construction homes have the full commission amount (for both agents) built into the sales price. If a buyer doesn't have their own Agent/Realtor and works directly with the builder's rep/agent, then the builder will just make more money, because they may not have to pay a buyer's Agent/Realtor. A builder will rarely discount a sales price, because a buyer didn't have their own Realtor. In this market, the builder knows they will sell the home at that price to the next buyer, if you decide not to buy. Builders tend to not discount their sales prices, because it would affect the price of the next home that they build. The bottom line is that buyer's should have their own Agent/Realtor working for them and looking out for them. Buyer's with their own agents will have a more stream-lined and successful experience in buying a home.